The UK's No.1 Craft Bakery! The UK’s No.1 Craft Bakery! The biggest names in bakery gathered at the Park Lane Hilton on Wednesday 5th September awaiting the results of the prestigious British Baker’s Baking Industry Awards 2018 where we were named the winner of the UK’s No.1 Craft Bakery Business Award, a huge mark of recognition for us. Commenting on this incredible win, Mark Sullivan, Chairman of Warrens Bakery says: “The British Baker’s Baking Industry Awards are the biggest night in the UK bakery calendar and to walk away with this title in this highly competitive award category is phenomenal. As a business, Warrens Bakery is growing at a rapid pace but the core values and working practices remain the same as they have always been. We are proudly celebrating this latest win due to the hard work and commitment of our greatly valued team, and the dedication to sourcing the best ingredients and producing the finest artisan bakery products.” We have also recently come to the attention of BBC1’s Saturday Kitchen who spent a day filming with us in St Just in Cornwall, which will be aired in the autumn. Jason Jobling, Bakery Director of Warrens Bakery says: “This is a fantastic achievement and mile stone for Warrens Bakery which I am very pleased to be a part of. My career at Warrens Bakery began when I was just twelve, I started by sugaring American Ring Doughnuts during my school holidays. To this day, as a craft bakery, we still use our hands and artisan skills in every single product we make, from our signature hand crimped Cornish Pasty right down to our humble Gingerbread Men”. The Baking Industry Awards’ ceremony marked the culmination of months of judging up and down the country as experts took part in tastings, store visits and interviews to select those who would take home a coveted Baking Industry Award trophy. It’s the third time in four years we have been shortlisted in these awards, which acknowledge the skills and achievements of individuals and businesses operating within our bakery. As the South West champion, we competed against six other regional winners from across England, Scotland and Wales for the overall title of Craft Bakery Business 2018. We have just opened our 21st franchise store across Britain in Redhill in Surrey. Earlier this year we also ventured into Wales, opening a bakery in Merthyr Tydfil. Since opening our first franchised bakery in 2017, we have experienced rapid growth and now plan to open hundreds of new bakeries in the next five years and we have recently partnered with British baking star Martha Collison to find the nation’s ‘Budding Baker’, helping to support the next generation of bakers. Even with 70 stores across Britain, we still crimp all of our pasties by hand in Cornwall, we are after-all the oldest Cornish pasty maker in the World. 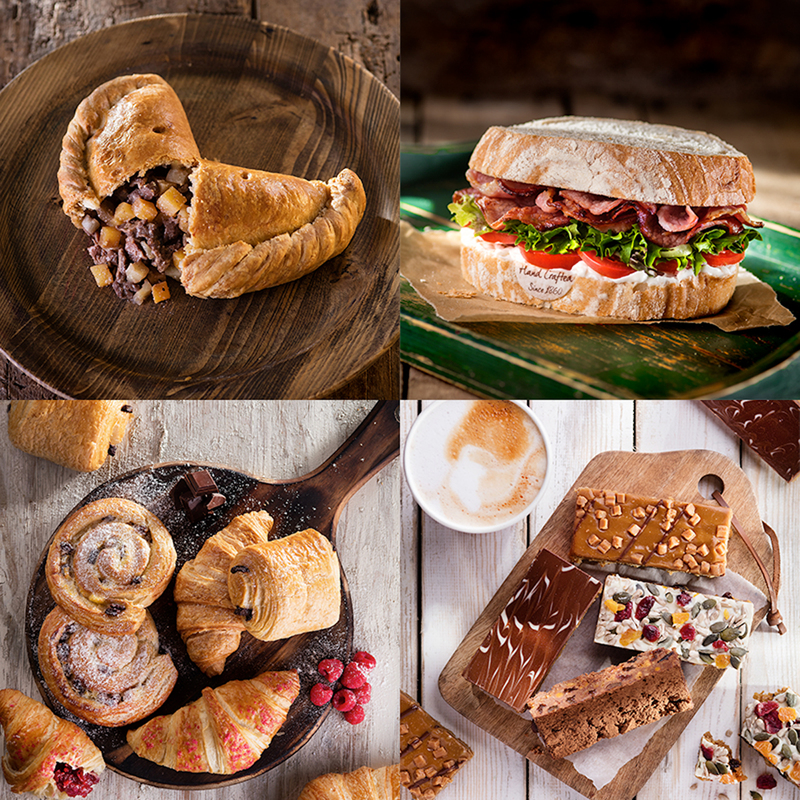 In addition to our iconic pasties, we’ve become renowned for our amazing selection of artisan breads, speciality Cornish delicacies, savouries, scones, cakes and sweet treats and are proud to put a firm focus on provenance, hand crafted skill and innovation. All of our baked goods are made with an enormous amount of care and attention to detail with many still produced using traditional recipes and techniques. It’s this care and attention to detail which has led us to receive numerous accolades over our 150-year history. This year, in addition to the Craft Bakery Business Award, we also have been regular award winners across our products including at the British Pie Awards and the World Pasty Championships for our Vegan Thai Pasty. To try one of our award-winning bakes yourselves, find your nearest store here.